What does it mean to be a woman in leadership? 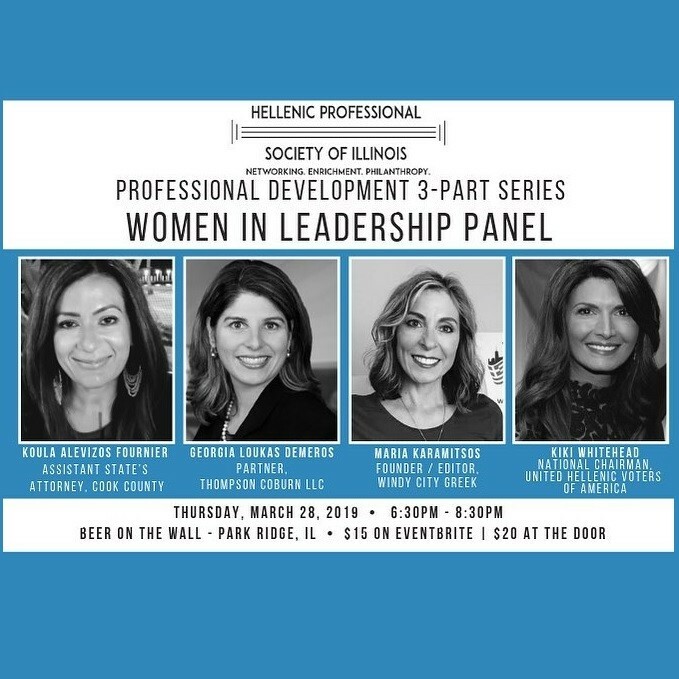 Please join us for this intimate, inspiring final event in our 3-part Professional Development Series, Women in Leadership Panel, featuring thoughtful dialogue with our special guests Koula Fournier, Georgia Loukas Demeros, Maria Karamitsos and Kiki Whitehead around women's professions, challenges in their field, and how they achieved their success. An audience Q & A will follow. The panel will be moderated by HPSI Board President Alyssa Machinis. Enjoy light appetizers and a drink with your ticket purchase. Seating is limited. Please join us!